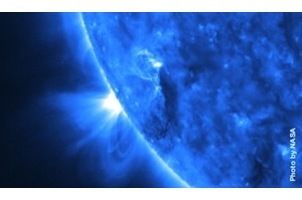 The sun's sister stars may be far more numerous than scientists had previously thought. Did the sun come from a crowded star-forming region, similar to the Large Magellanic Cloud's Tarantula Nebula? Astronomers have long sought out the sun’s “siblings,” stars born from the same cloud of gas and dust, because of the clues they’d provide regarding the sun's origins. For years, the prevailing wisdom suggested that the sun was born in a sparsely populated “suburban” star-forming region about 5 billion years ago, along with roughly 3,000 other stars. (In contrast, densely populated “urban” regions can hold millions of stars.) The sun’s birth environment couldn’t have been too crowded, the logic went, because planetary systems, like ours, could never survive the gravitational jostling of neighboring stars in urban clusters. But what if that’s wrong? Mark Krumholz, an astronomer at the University of California at Santa Cruz, realized that questioning the untested common wisdom about the sun’s suburban upbringing might mean it’s easier to find a solar sibling than astronomers think. Would the sun and its fragile solar system survive an urban upbringing in close proximity with thousands more stars after all? To test the possibility, Krumholz and a former student, Jonathan Craig, conducted computer simulations that approximated how the newborn stars would move and interact, to see just how violent the gravitational jostling would be in crowded, urban clusters. As it turns out, planetary systems are hardier than astronomers thought. As Krumholz and Craig reported in The Astrophysical Journal, the sun could have 50,000 or more sibling stars. The old assumptions suggested that fewer than 10 such siblings lurked within 500 light-years of Earth, but Krumholz showed there could be as many as 100. Now all that’s left for astronomers is to actually find and tally these estranged stars, something that could be just a few years away, Krumholz says. As often happens with long-lost relatives, what the team finds could reveal new details about our sun’s youth: where it formed and what that environment was like.